Home » What Can We Learn From Female Olympians? The Rio Olympic games start this Friday. While there has been much press coverage about how ready Brazil is for these games, there are no such questions about the Olympians themselves. This past weekend The New York Times Magazine devoted the July 31 issue of the magazine to the Olympics. 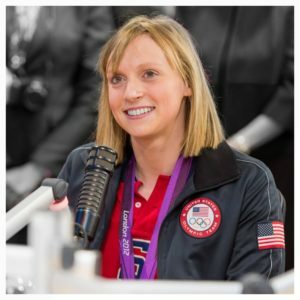 A story written by Michael Sokolove about Katie Ledecky, the 19-year-old swimming phenomenon, caught my attention. It wasn’t the fact that she sounds like a great person, or that she is such a determined athlete, or that she is happy in her pursuit of gold again that caught my eye. It was the statement by Carol Capitani in the article that I noticed. Women seem to be hard wired for collaboration and teamwork, which can make it harder for them to compete all out to win. And when they are able to throw aside the need to be fair or liked and fight as hard as they can to outshine others, they can be criticized for not being likeable. Hmmm…sound familiar? I’m not going down the political path right now, so I’ll leave it at that. But I do believe there is a bond that women often form with each other that makes them want to root for all women. For many women in everyday life, not necessarily in competitive sports, winning alone is just not as good as winning together. Seeing a friend win can feel as good as your own win. That makes me wonder what a world with more females in charge would look like? Just asking.